Ever since I was a little girl I have dreamed of seeing Cirque du Soleil. Every time we made a trip to Disney World I would beg my parents to take me and as I got older I would then hope that we would get tickets for a show when they passed through Montreal, but alas neither ever happened. When I heard that Cirque du Soleil TOURK was coming to Portland I again was hopeful for tickets and so when I was asked to share this event with you and host a giveaway (see below) and that I would also receive tickets for myself I couldn’t pass it up! 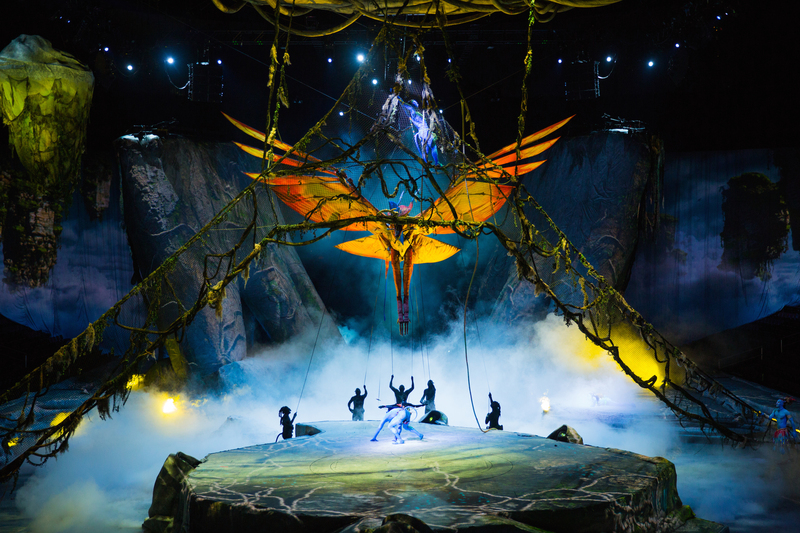 TOURK inspired by James Cameron’s record-breaking movie AVATAR. I’ll be honest I have never seen Avatar and it’s not for my lack of interest it just has yet to be crossed off my ‘to watch’ list. So to say I’m excited is an under statement. So what is TOURK all about? Narrated by a “Na’vi Storyteller” and populated by unforgettable characters, TORUK – The First Flight is a mythical tale set thousands of years before the events depicted in the film AVATAR, and before any humans ever set foot on Pandora. 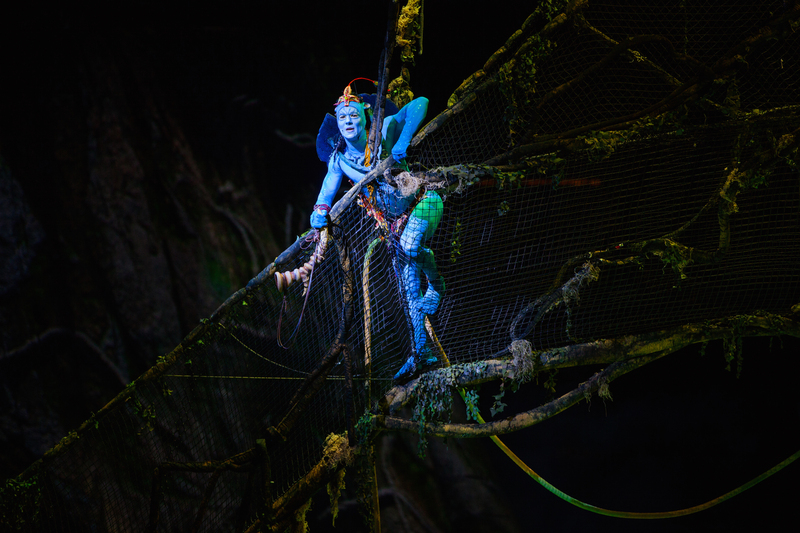 Through cutting edge visuals, puppetry and outstanding performances, this family-friendly show transports you to the world of Pandora in a visually stunning live setting. Take a look for yourself- doesn’t it look magical? Also take advantage of the family four pack ticket offer and save on 2 adult and 2 children tickets. 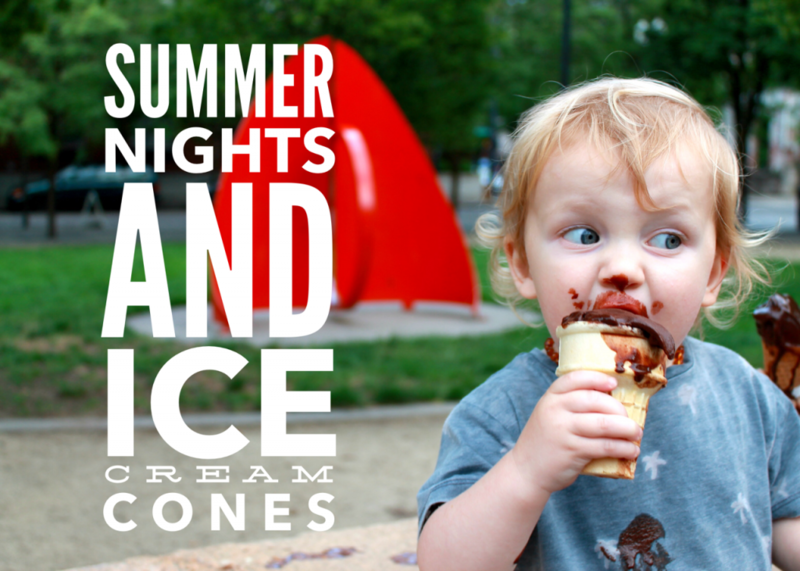 One thing that I have come to learn this summer is that some nights you need to skip bedtime, grab ice cream cones and head to the park. 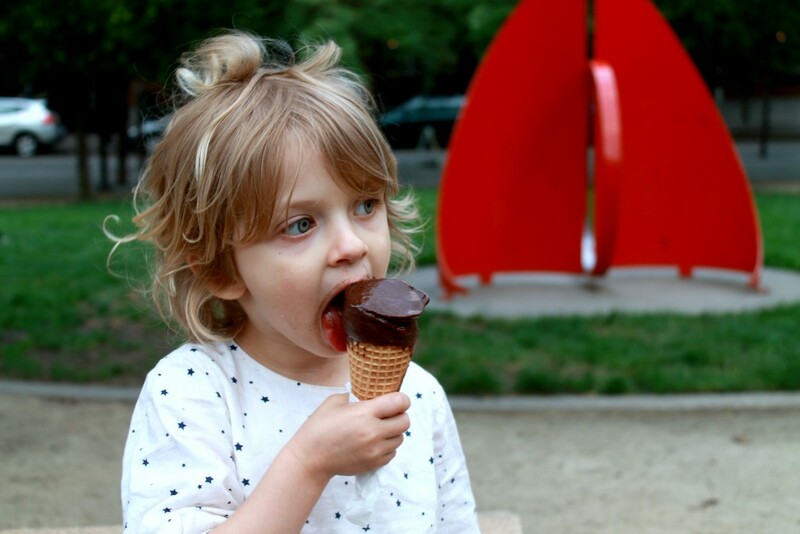 We grabbed some cones for sorbet from Cool Moon Ice Cream and headed to Jamison Square. We ate, we climbed, we played and we left sticky, tired and happy as can be. 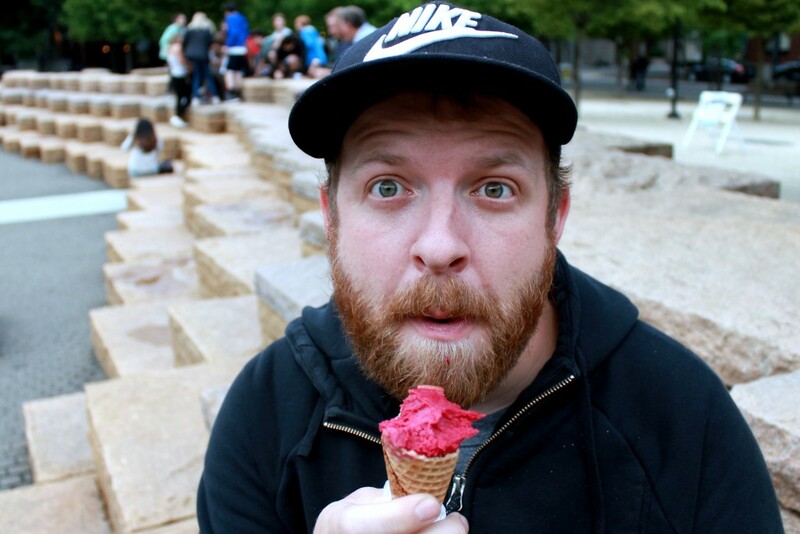 This is your reminder to have fun, break the “rules” and enjoy life. Run don’t walk to your computer and go purchase your tickets to The Lion King at Keller Auditorium because you’re not going to want to miss this amazing performance. Lucky for you this is one broadway performance that will be spending three weeks in Portland so you have ample time to go and enjoy an evening at the theater. 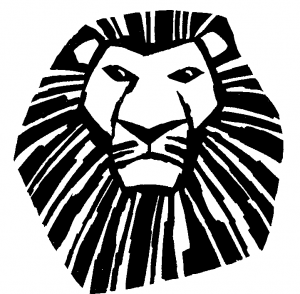 I have always dreamed of seeing The Lion King on broadway because The Lion King was easily my favorite movie for a short period of my life and I had the bedroom comforter set to prove it. I was lucky enough have this dream fulfilled and to attend Thursday nights performance and I was blown away in just the first five minutes of the show. 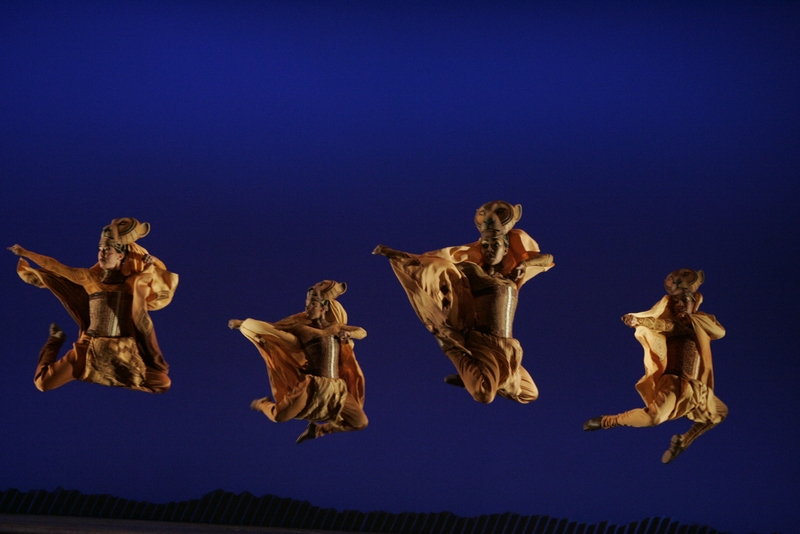 The theater came to life as animals pranced through the theater and the powerful music sang to my soul. If you have ever seen photos or press videos of The Lion King on broadway then you already know that the costume work is incredible but nothing can compare to seeing costumes and the performers all dressed up; especially those performers who are up on the high stilts dressed as giraffes (my favorite animal of the night). When it comes to performers Mark Campbell who played the roll of “Scar” was absolutely amazing and completely embodied the roll. I have to say my favorite character of the night was the uptight and incredibly comical bird Zazu played by the amazing Drew Hirshfield. Of course we can’t forget about Rafiki probably one of the most beloved characters from The Lion King and Buyi Zama did a wonderful job as Rafiki. I know I have shared a number of Broadway In Portland performances on this blog and I feel so incredibly lucky to do so. There is just something magical about the theater and while my littles are still a bit young for the theater I can’t wait to share it with them as well and I hope that those of you who are reading this also consider giving yourself and your children the theater experience. The Lion King I think is the perfect place to start. It is something for both children and adults alike and is such a special performance to bond over and start a life long love of the theater. *There will be a special 1:00pm matinee performance on Thursday, August 11. 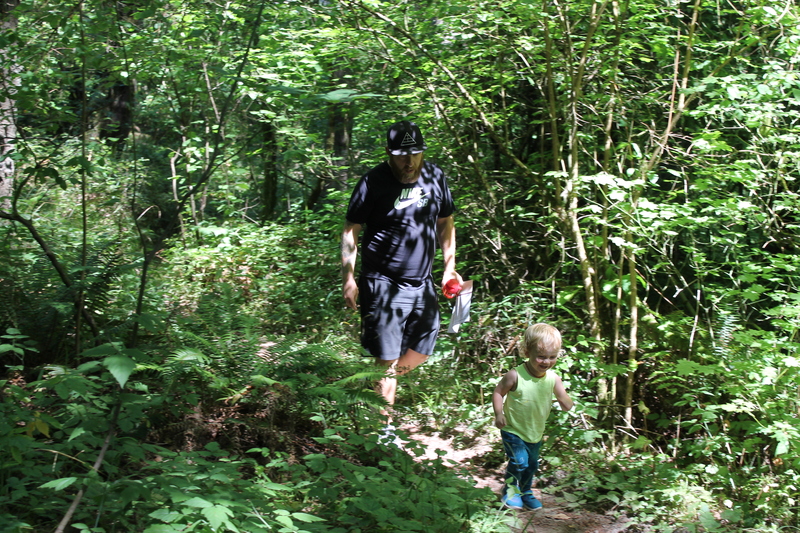 One of amazing benefits of living in Portland is that we get not only the city life but also easy access to nature. We don’t have to travel far to be in the mountains, the desert or the beach. 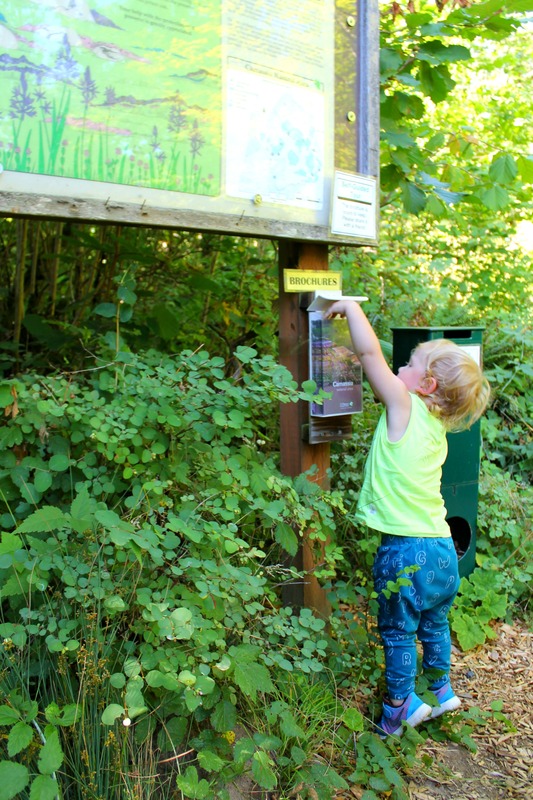 Each week (ideally) we find ourselves exploring a new nature area around Portland. 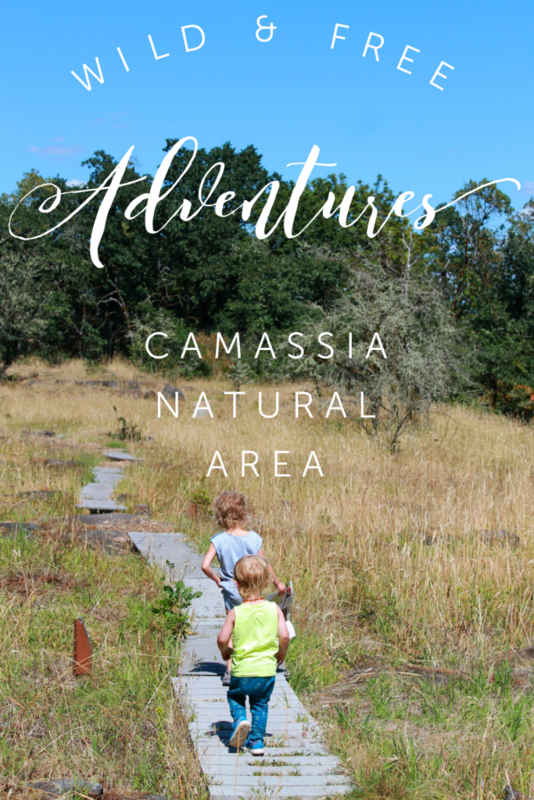 Most recently we spent an afternoon exploring Camassia Natural Area. Camassia Natural Area is a funny spot to get to as the main access point is at the end of a residential road. As you enter you go over a teeny bridge and you’ll find yourself grabbing a map/guide and starting on your way around the loop. 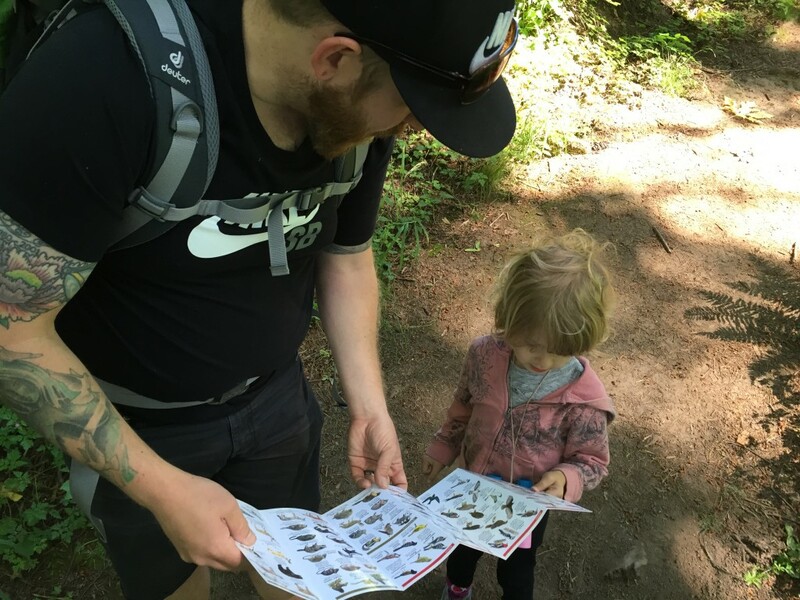 The loop is numbered and in your brochure you can stop, read and learn a little more about this really interesting nature area. 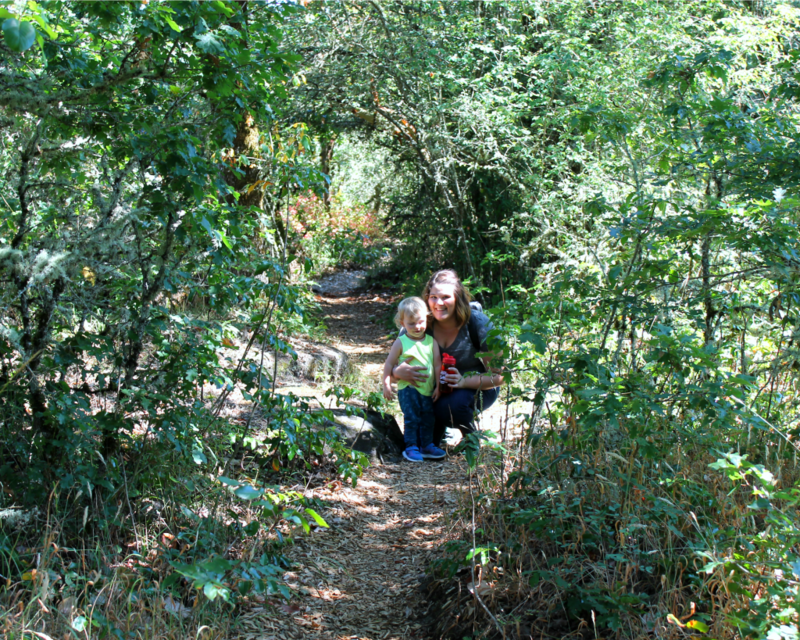 This loop is pretty short so it’s a fun spot to bring little ones who insist on walking everywhere. 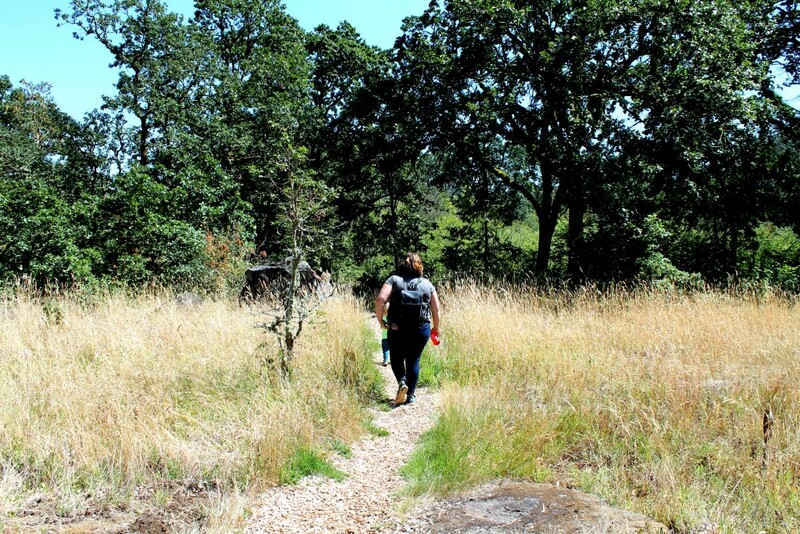 In the Spring time Camassia Natural Area is filled with wild flowers but on our visit it as as super hot summer day so everything was brown. We’re looking forward to returning next Spring! Overall we loved Camassia Natural Area. I will warn you though that there are no restrooms – really my only con about this spot. 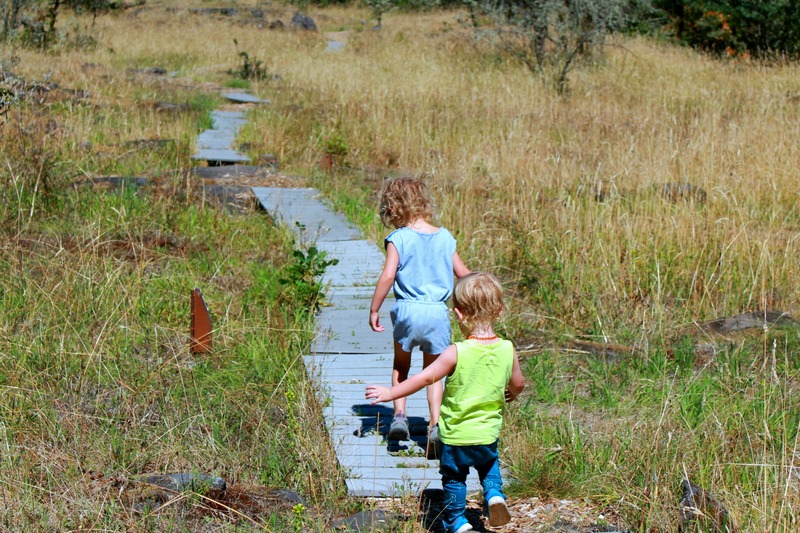 Have you visited Camassia Natural Area? 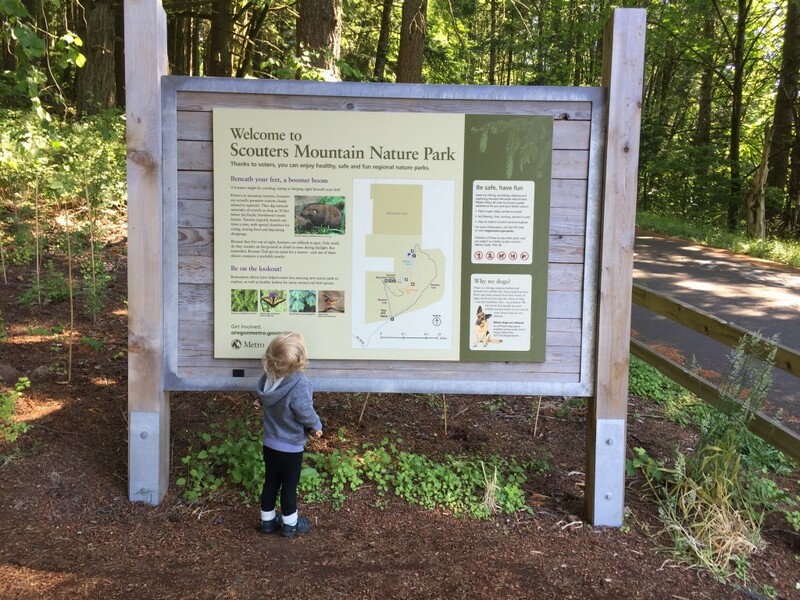 What are some of your favorite nature spots in the PDX area? 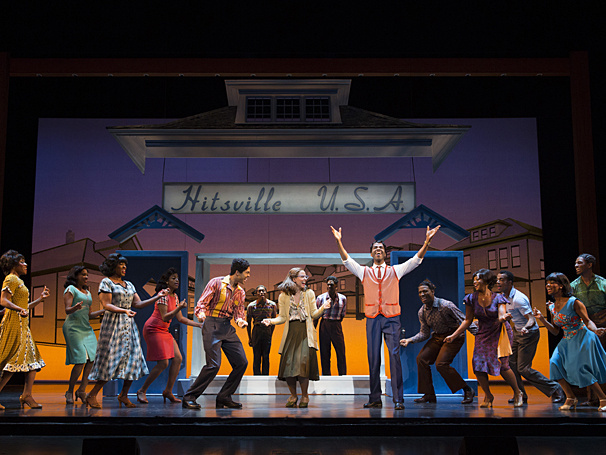 Last night I had the opportunity to see Motown The Musical and I let me tell you I know I talk a lot about musical shows going on here in Portland but this was easily one of my favorites that I have seen. I knew very little about the show before I went in so I really didn’t have any expectations of the show but the performance was incredible. We the audience were transported back to the start of Berry Gordy’s carrier from a young boy with dreams of becoming the next Joe Louis to writing music to becoming a heavyweight music mogul who launched the careers of Diana Ross, Michael Jackson, Stevie Wonder, Smokey Robinson, Marvin Gaye and so many more. The show takes you through Berry Gordy’s start as well as the start of all of the music icons we know today. Along the way we (the audience) got to experience what it might have been like to watch these amazing musicians live at the start of the careers. At one point Diana Ross even comes down into the audience during one of her performances and interacts with our audience. Allison Semmes who played the role of Diana Ross was absolutely incredible. She had the voice down both in song and in conversation, she just embodied Diana Ross and it was amazing. I swear if I had closed my eyes when she was performing I would have had a hard time distinguishing her voice and the real Diana Ross’. I loved learning the history of Motown Records through the ups and the downs and the start of the carriers of these amazing musical artists who have helped shape my relationship with music. It was simply a spectacular show. If you are able to this is a must see show and for the families out there I’d recommend it for 8-10+. 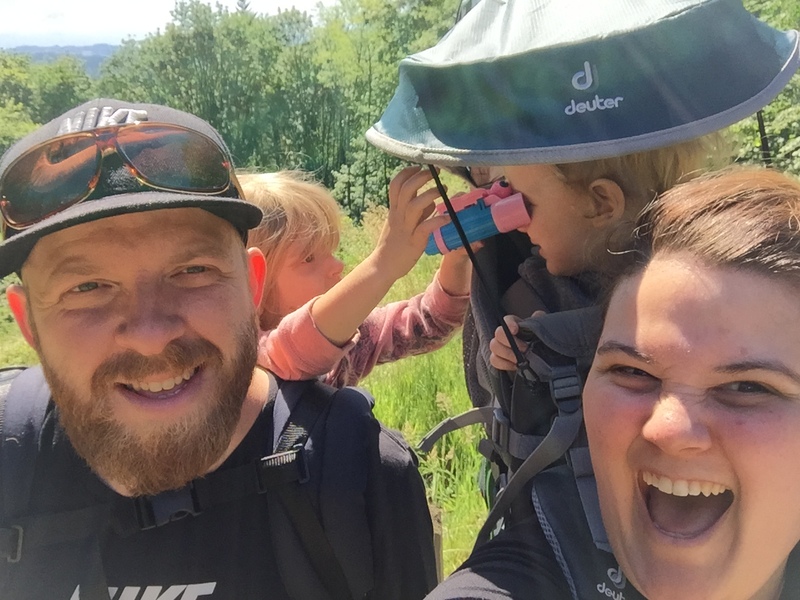 It seems that lately we have had every excuse in the book for not getting out for our regular family hikes and nature walks. Excuses include house work, nap time/cranky kids, work, errands, just plain laziness. The thing is those are just excuses and if we just took the time to get outside naps would probably better, our kids less cranky, our work more productive and our lives more active. Yes the dishes and laundry will continue to pile up but lets be real what adds more value to our lives – dishes or hikes? So yesterday despite having no clean towels, no groceries and a mountain of work we decided opted outside. 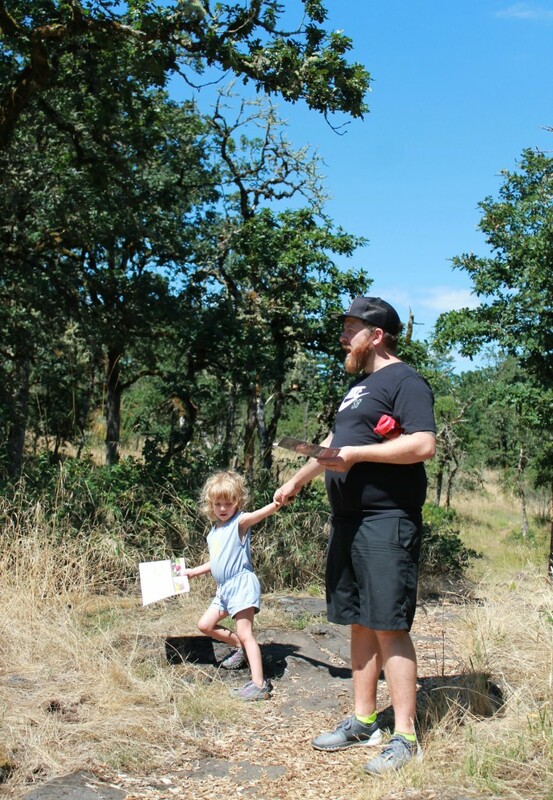 We headed to a new (to us) spot for a hike – Scouters Mountain. It was a bit of drive but it was worth it because it had a great view at the top of Mount Hood, was fairly easy for the kids to hike it with us and had well maintained paths. It also had super clean bathrooms, a green area to run around and a covered picnic area. 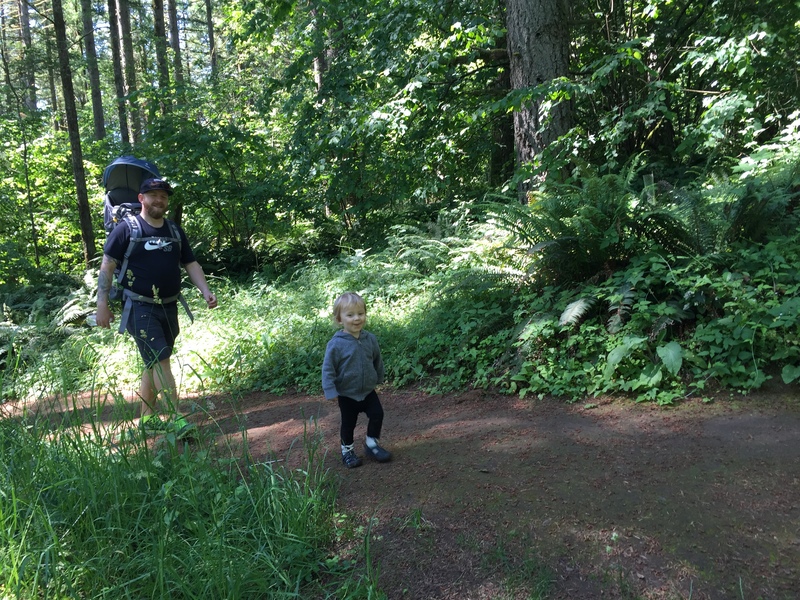 Everyone started out in carriers (per the littles request) but about 10 minutes into our hike both kids were over it and they hiked the remainder of the time with the exception of the last short hill. 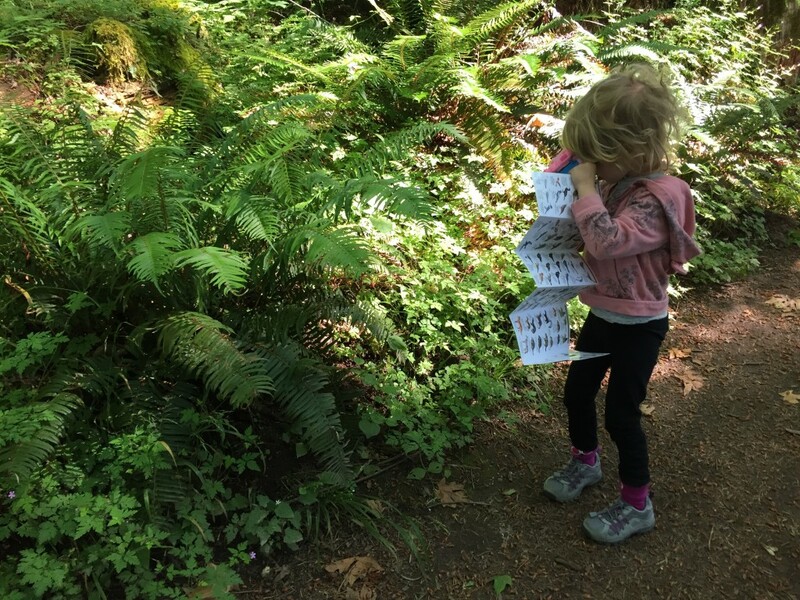 We spent time exploring our interpretive guide to see which birds, bugs and butterflies we could identify. These are really great to have on hand especially when you have a nearly four year old who wants to know what everything is. We need to get ourselves a few more to have on hand. 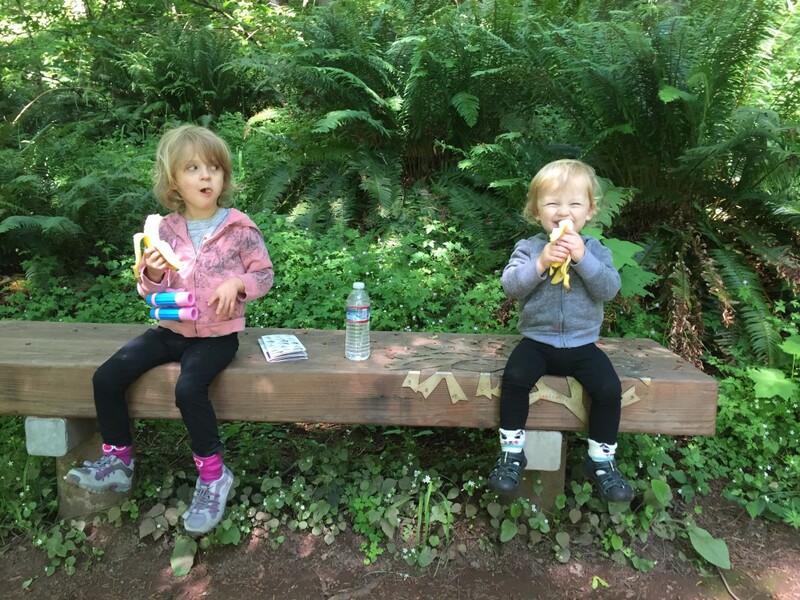 Of course we had to stop for a snack break and luckily Scouters Mountain trail has a number of benches throughout making it easily to stop, sit and gobble up a few bananas. After eating it was time to get back to exploring! 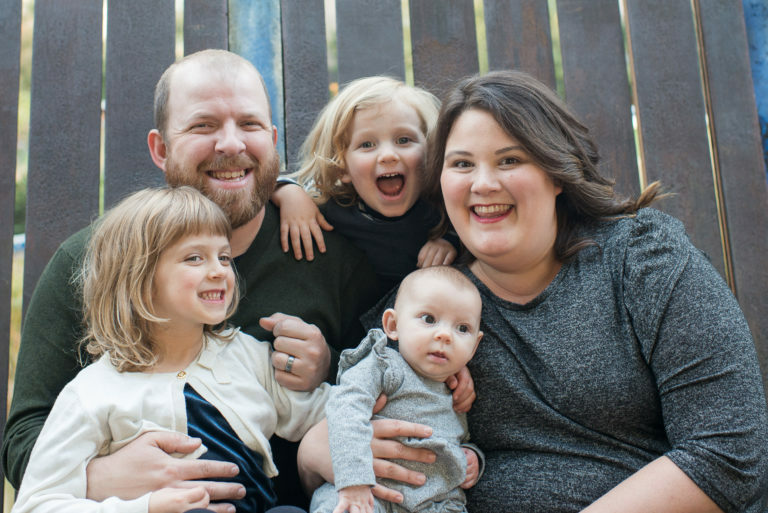 Of course we had to get a family selfie! What did you do with your family this weekend? How do you make time to get outdoors? My friend Jenni and I finally made time for the two of us to get out (sans kids) to enjoy a night of wine and art. 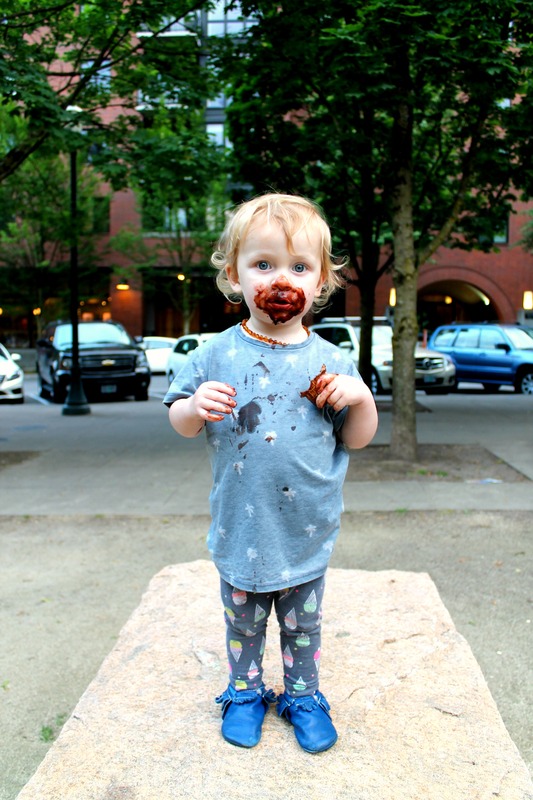 We were invited by Bottle & Bottega, here in Portland, to come in and check out what they had to offer. 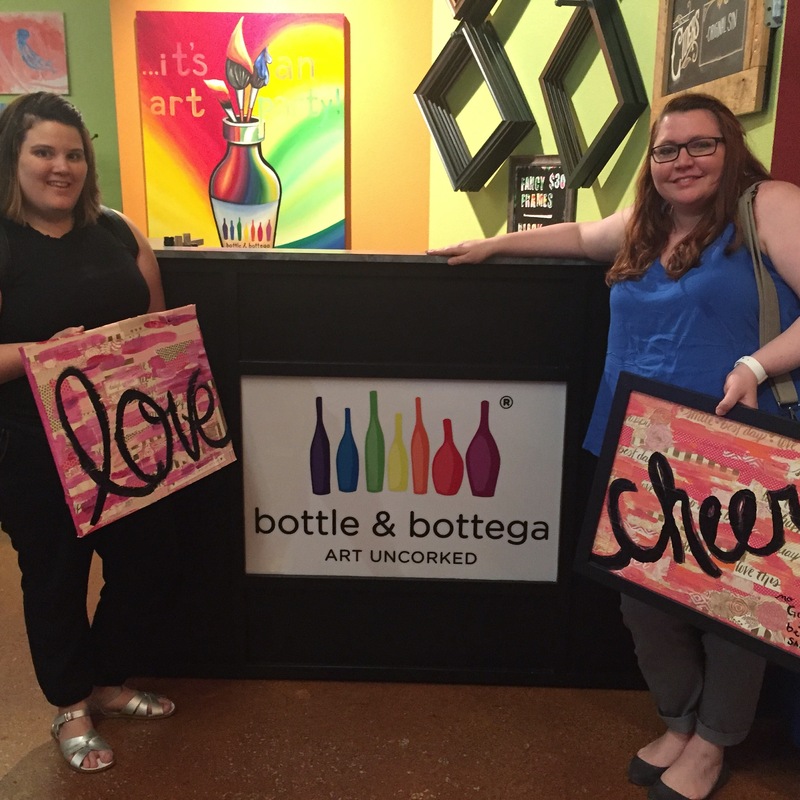 We picked a date and marked our calendars to attend one of Bottle & Bottega multi-media nights. 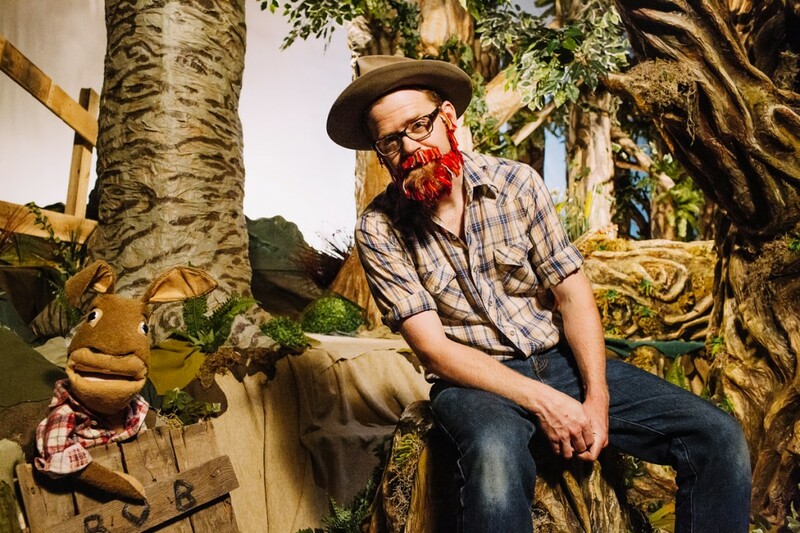 The multi-media night sounded fun because it allows for you to use a variety of materials and to create whatever you want based on a few prompts. The night we attended there were a few people working on multi-media painting/collages of Mt Hoood, a few ladies came to gether and were all doing collages of their furry companions. Jenni and myself decided to go with their “love” collage design. We grabbed our glasses of wine and went through books and books of scrapbook papers finding the ones that fit our design idea, color pallette and over feel for our pieces. 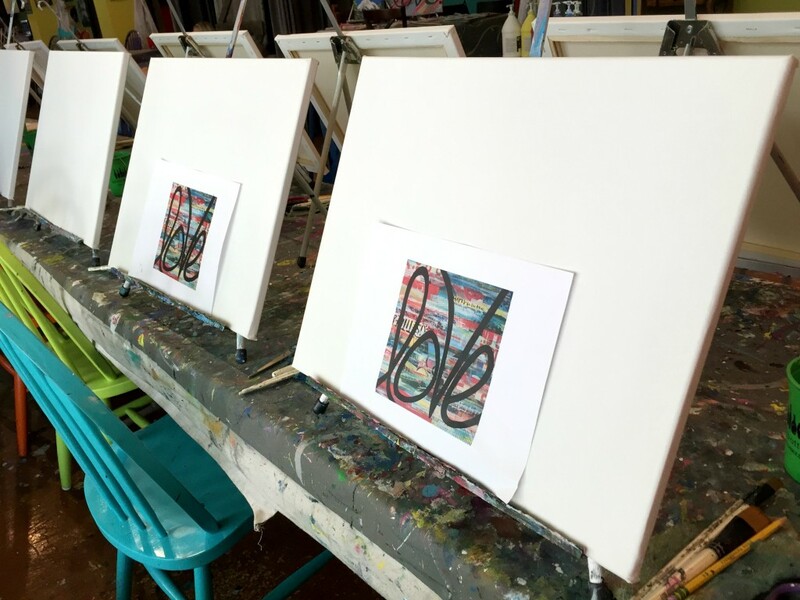 We were guided through the general process and then we were set free to go about making our art pieces just as we pleased. It was such a fun night to be in a room filled with other women doing something creative and fun. It was also a nice change of pace for us to be the ones creating the art rather than picking up after our littles masterpieces. This is just another reminder of how important it is to get out with friends and other adults because after I left I felt so refreshed (until I arrived home and realized I had a parking ticket on my dash- oops). 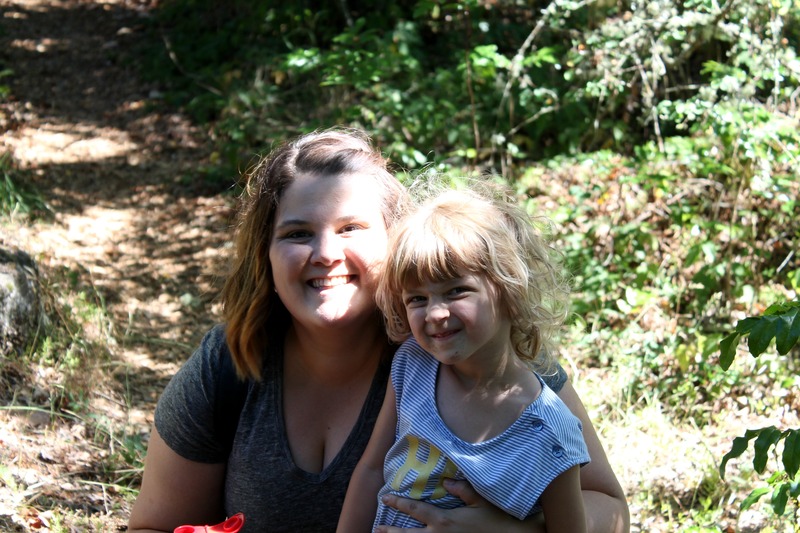 Head on over to Jenni’s site to see more from our Bottle & Bottega adventure! 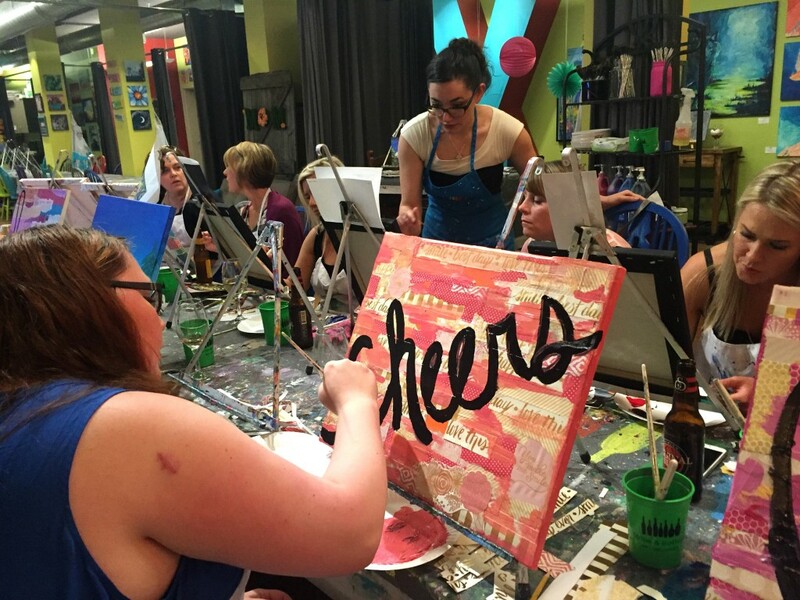 What do you like to do when you get a mamas night out? 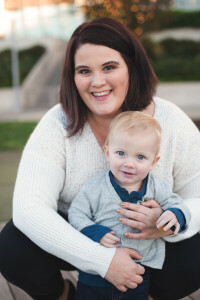 Check out Jenni’s amazing post as well! I know lately it seems that all I blog about is Broadway shows but how can I not when there are so many amazing ones making their way through Portland. Coming up next week is one of my all time favorite childhood musicals, ANNIE. This is the first musical that I have written about that I have actually seen live before and it was fantastic so I am hoping the same for this show. 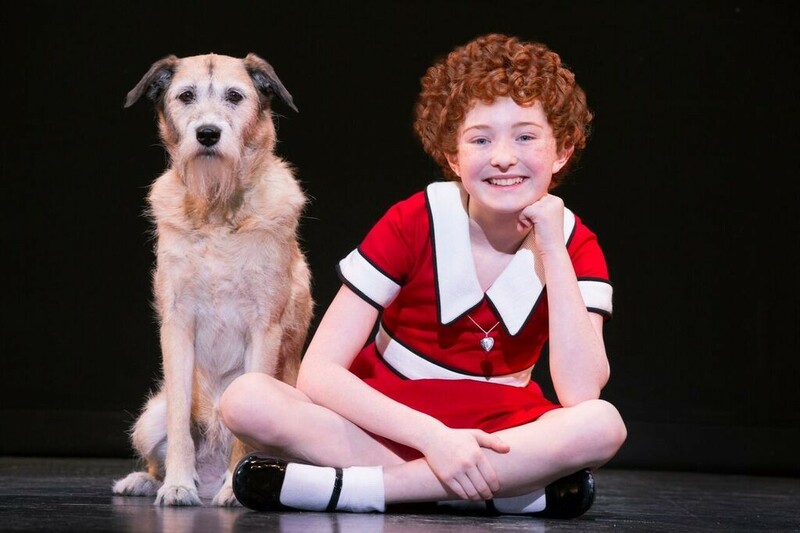 I am particularly excited to watch Heidi Gray, an 11-year-old actress from the Augusta,GA area, making her tour debut as Annie. There is something so inspiring about watching young people doing such amazing things like getting up in front a live audience and performing. I of course will report back about the show so make sure you check back or better yet you can see it for yourself. 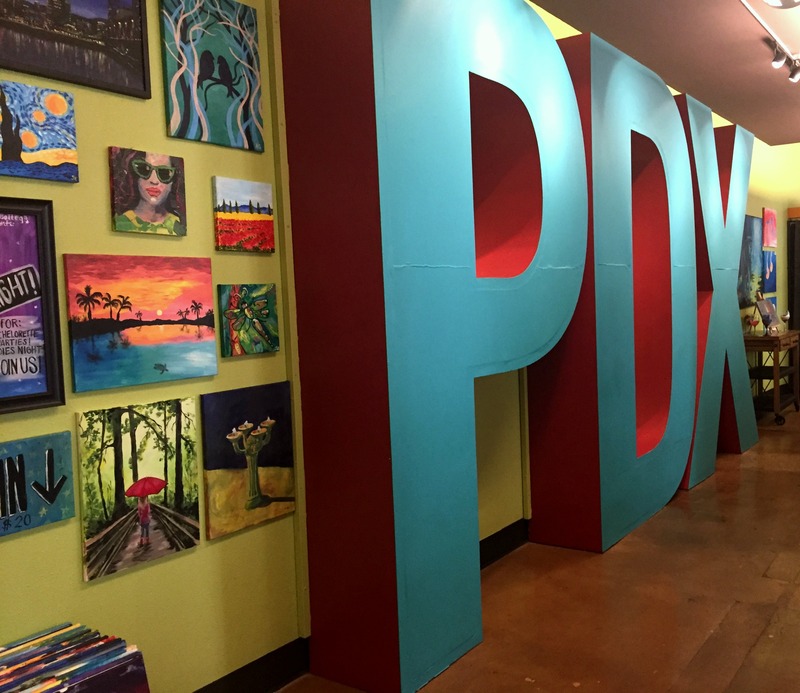 This Week In PDX | Newsies! 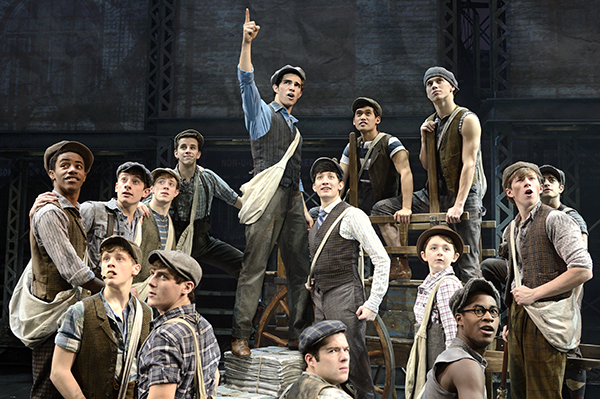 When I was growing up I lived and breathed Newsies so much so that my parents once hid our VHS copy of it so that I couldn’t watch it. Jokes on them because I found it a year later when we moved and I made sure to make up for lost time. 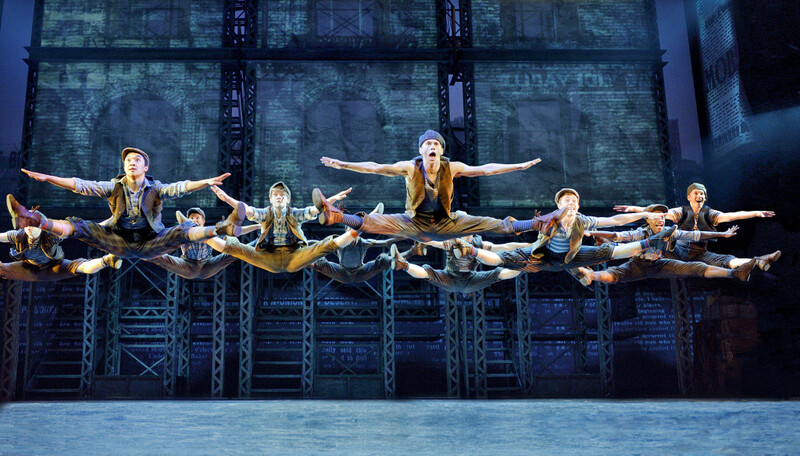 Needless to say the fact that Newsies is currently at Portland’s Keller Auditorium makes me giddy. I was lucky enough to have a little bit of ladies night out with a friend to see Newsies on opening night. The cast was so talented and the set was amazing. I have to say I am a bit of purist when it comes to musicals so I wasn’t a huge fan of the major changes to the story (Jack falls for a different leading lady and Bryan Denton’s roll was replaced) and I also didn’t love the new songs. That all being said would I go see it again? YES! 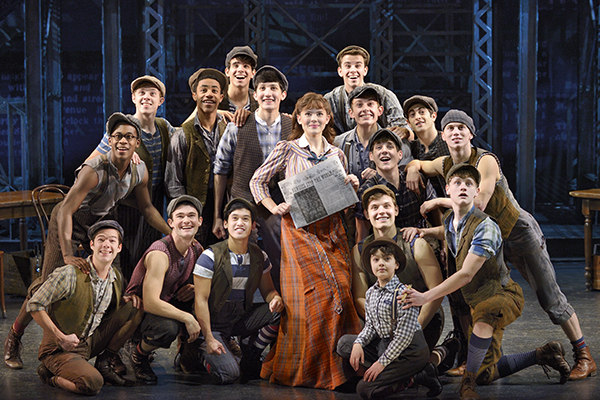 I can look past those things because the performance was wonderful, fun, engaging and I mean it’s Newsies what’s not to love! I’ve listed the performance dates for the remainder of the week- get your tickets now! Disclaimer: Broadway In Portland was kind enough to provide me with two tickets to attend the show. I did not receive any monetary compensation for this post.